We are living in strange times. Virtual money, virtual friends, virtual reality. And regrettably, we are currently burdened with virtual leaders and virtual health insurance coverage. Last month’s Gallup poll revealed that by a huge margin the “most important problem facing the country today” was dissatisfaction with the government. Our representatives in Washington spend more time meeting with moneyed “stakeholders” than fashioning constitutional legislation based on what their constituents voted for. When our “representatives” occasionally take a break from sniping at the White House or one another, they offer platitudes and intangibles to distract us from their ineffectiveness. Sustainability, the rich, social (in)justice, the common good, a living wage, a better health care system are glittering generalities, known in some circles as propaganda. Operating under the cloak of munificence and on the premise (or pretense) that the financial and physical best interests of everyday people were at heart, the proponents of the unipartisan Affordable Care Act produced an unrecognizable version of insurance. Health insurance in the United States grew out of concerns for the high cost of serious injuries due to the wide use of machinery in the early 1900s. The ACA – to quote President Obama – “fundamentally changed” the American the health insurance market to forcibly insure individuals for every medical issue no matter how minor. Of course, the promised benefits were illusory since most patients would never meet the high deductible. The ACA robbed us of choice in the insurance market. No more inexpensive major medical insurance policies for those over the ripe old age of 30. 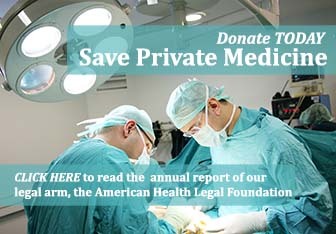 Predictably, nearly half of ACA marketplace enrollees polled in a Kaiser Family Foundation health reform survey report that their premiums, deductibles, and copays have been going up and will create a “financial burden.” And sixty percent of those with any kind of private insurance expect their premiums to go up “a lot.” Their perception is based in reality. In the 20 states where the information was available the 2018 premium increases range from 33 to 49 percent. As for the negative effects on the other half of the patient-physician relationship, a recent Mayo Clinic study verified that the government-mandated electronic health records are contributing to increasing rates of physician burnout. A majority of those surveyed indicated their electronic medical record systems were causing a clinical burden, resulting in emotional exhaustion, depersonalization, and a reduced sense of personal accomplishment. 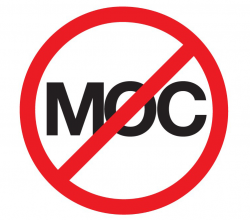 Moreover, the new complex metrics required under the Medicare Access and CHIP (Children’s Health Insurance Program) Reauthorization Act of 2015 (MACRA), have become a new source of frustration and increased clerical duties. The ACA and its progeny must go. Responsive government is based on an exchange of ideas with the voters and accordingly, constitutional laws that advance the interests the citizenry. The ACA appeared to respond to the wishes of corporate lobbyists and social engineers, not the public at large. Dissatisfied with the government? 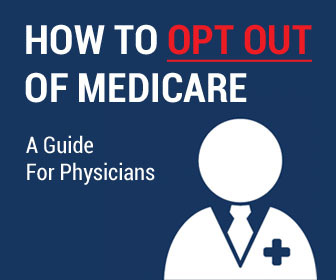 Reject the political pap and decide whether you would rather pay $600 per month and a $5,000 deductible for services that you do not want or need or have the ability to buy inexpensive major medical insurance and pay out- of-pocket for routine office visits. Keeping in mind the hacking of 143 million Equifax records, do you want your medical records housed and managed by the Office of the National Coordinator for Health Information Technology or in your doctor’s office? For many, the answer is clear. 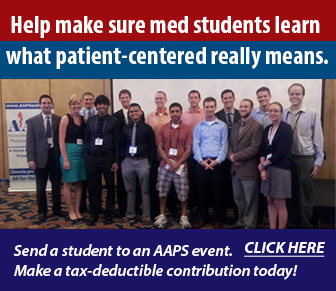 Support policies that put the sanctity of the patient-physician relationship first, last, and always.